A Comprehensive Quit Smoking Hypnotherapy Program to Support You All the Way! This is a very effective way to make quitting smoking easier. With this powerful hypnotherapy program you can re-write & override all the things that make you addicted to cigarettes stored within your subconscious. Doing this it is possible to reduce the cravings, break habitual behavior & enhance your will power throughout the quitting process. Most importantly, through hypnosis, this will remain a permanent part of your mindset for the rest of your life. 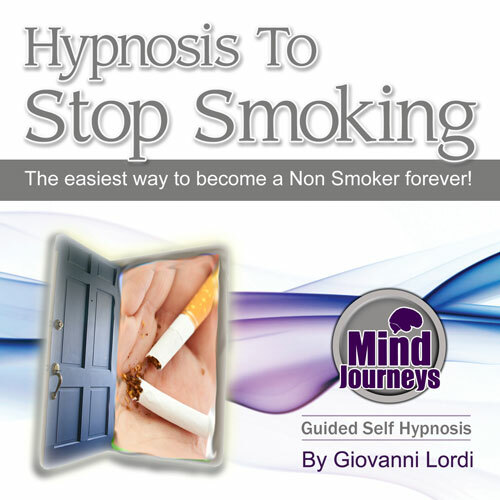 Giovanni has personally helped many hundreds of his personal clients to quit smoking using his traditional methods of hypnosis & cognitive counseling. You can experience these same results for yourself with this recorded hypnotherapy MP3 session in the privacy & comfort of your own home. Using the recording each night for 6-8 weeks, while or before you quit, you will be amazed by the level of support this simple to use program will give you. By empowering your subconscious with more positive patterns towards quitting, & redefining your attitude towards cigarettes in general, you will surprised how much easier it actually is. Saying that quitting smoking is completely easy would be a lie, but with this personal program it will become significantly easier then if you try quitting 'cold turkey' or with other methods. You may also use this program with other quit smoking methods if you like as an adjunct to gums, patches, etc. but a lot of the time it is not necessary as the hypnosis is powerful enough to help you on its own. "I am smoke free easy, permanent stop smoker, I am, feel good, I do, I can, prefer being a non smoker, happy, calm, confident, respect myself, more money, better health, fit & healthy I am, I like water, cravings gone, healthy habits now, feel good, happy." "Dear Mr. Lordi, I wish I could crawl thru this computer to give you the biggest hug you ever had. I had been smoking since I was 13, I'm about to turn 53 in May. I have tried every single way one could try to quit smoking, including hypnosis in person. Well, I'm happy and PROUD to say, I'm a non smoker, my last cigarette was 12/24/12, it's as if I had never smoked. I don't know how to explain it....but, it worked, finally, I can say I DID IT, and if I could do it anyone can. Thank you so much from the bottom of my heart, you truly are a blessing. Now to lose this weight, my next goal. I have severe osteoarthritis so, needless to say, I'm not very active. Oh, and to be honest, I only had to use the hypnosis approximately 5 times..... Again, Thank you so very much...."